Vanishing edge features not only provide a unique look, but are a lot of fun too. 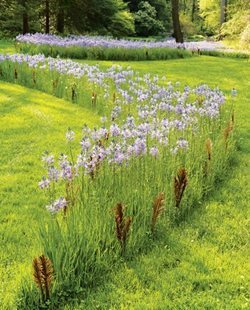 A J Miller Landscape Architecture in Syracuse, NY. Vanishing edge pools add to the drama of a picturesque view. The Green Scene in Northridge, CA. Every pool should have this one element worked into its design...a water feature. 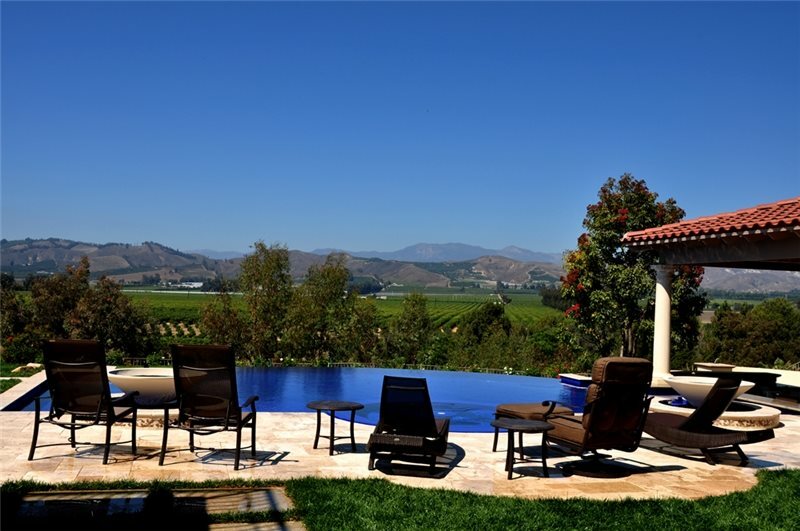 Whether that's a water fall spilling over boulders, a small statue spurting a stream of water into the pool, or even a vanishing edge pool that sets off a stunning view, a pool can be most impressive when it capitalizes on the effects of water. 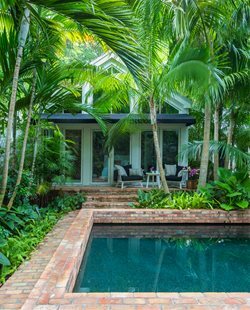 To include a waterfall in your pool, look for any raised area of your pool design and examine how water could be directed to flow off of that area. Many waterfalls are created by raising the level of the spa and having the water cascade into the pool. 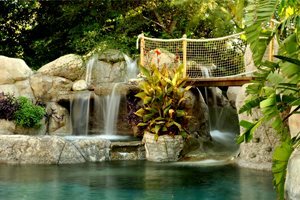 Other waterfalls are created by installing waterfall products in openings in raised walls along the pool wall and recirculating water to spill out in sheets or through porthole-like openings. The sound effect of your waterfall can also be specified. Some waterfall styles push water out as a single row of streams projected away from the pool wall. The rows create the sound of rain. Other waterfalls project a clear arc of water, creating a sheet-like effect. 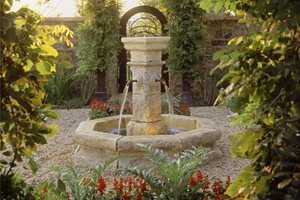 With a classical fountain or spouts inserted into pool walls, a single stream of water can be set up to give a gentle splash into the pool. Designed with an overflow vanishing edge and lined with glass tile, this luxurious pool and spa maximizes outdoor views while providing the ultimate spa experience. A vanishing edge pool (sometimes referred to as a negative, zero edge, or infinity edge pool) gives the impression that water flows to the horizon. In reality, one edge of the pool is constructed lower than the water level. A catch basin below recirculates the water back into the pool. 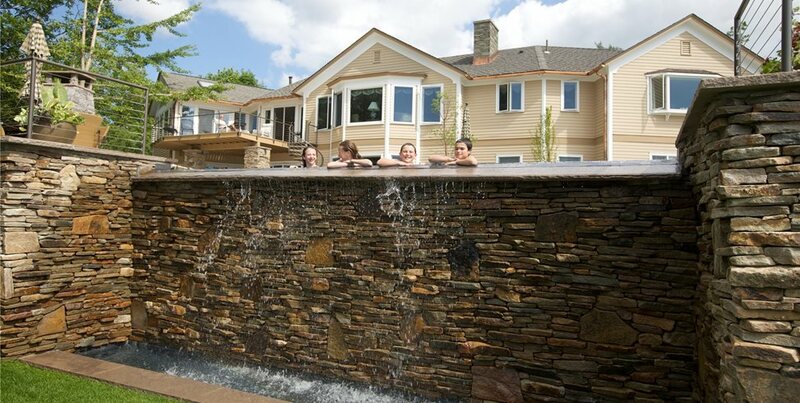 Infinity pools are more costly than traditional pools because they require more extensive design and engineering. 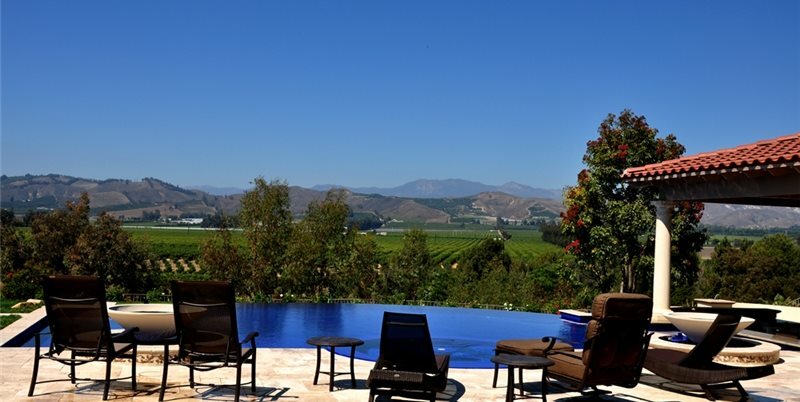 An infinity pool is especially impressive because of the visual effect it produces. This type of pool design is most dramatic when it highlights a backdrop such as a lake or picturesque wooded area or golf club. This type of design is also prime for pools set on a hillside, giving the effect that water is spilling over the edge of the cliff. 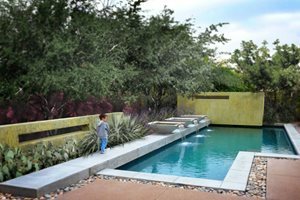 It is also important to reconsider adding a waterfall to a vanishing edge pool because it can disturb the reflective quality that this type of design provides.